I wasn’t planning on attending Coachella this year but during a random night out my friends convinced me to spontaneously go. It helped that they offered me and Josh a place to stay and knew people trying to sell tickets. Josh and I also love the desert and music festivals, so it was an easy “hell yes”. 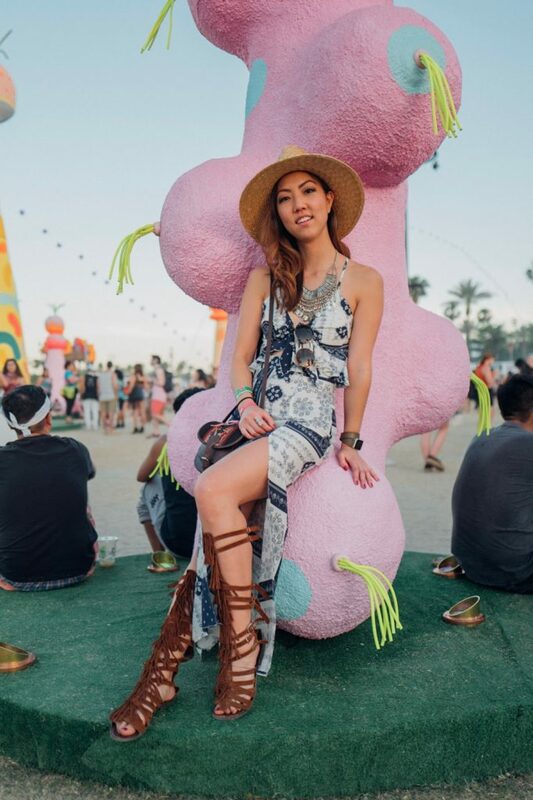 Since this was my 3rd time going to Coachella I knew what to prioritize when it came to festival fashion. 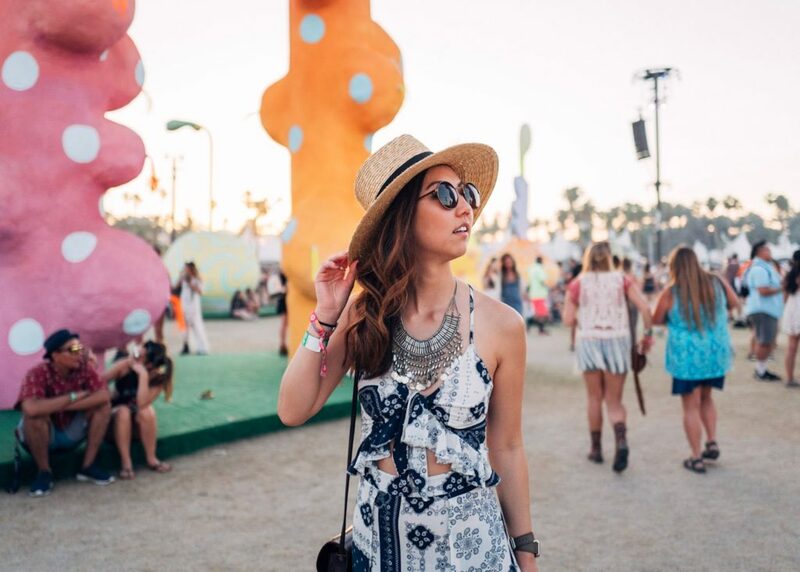 Something comfortable to walk around in, something you’re ok sweating in since it gets hot, and something representative of your style that’s not cliche festival wear. 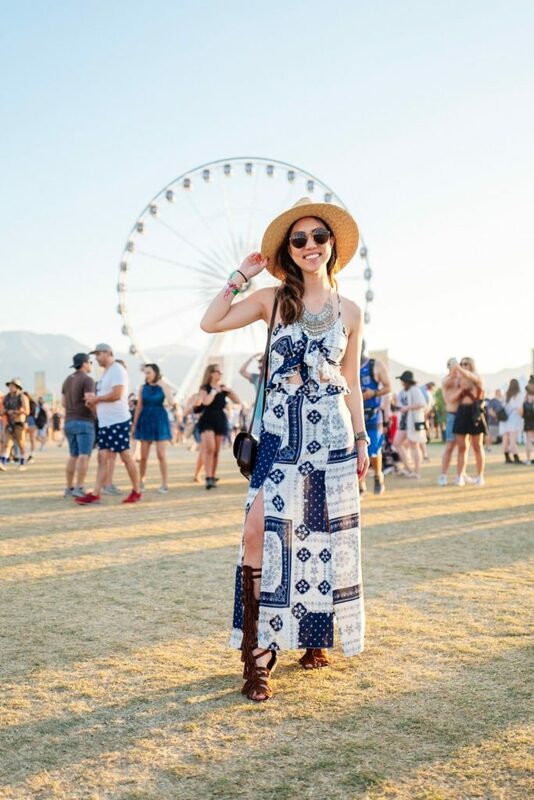 Thus, I was thrilled to find this printed maxi dress since it fulfilled all criteria’s. I had to hem 11″ off the dress since I didn’t want it dragging on the floor, but it worked out perfectly. I also went braless since it was backless and much more comfortable to wear without a bra. 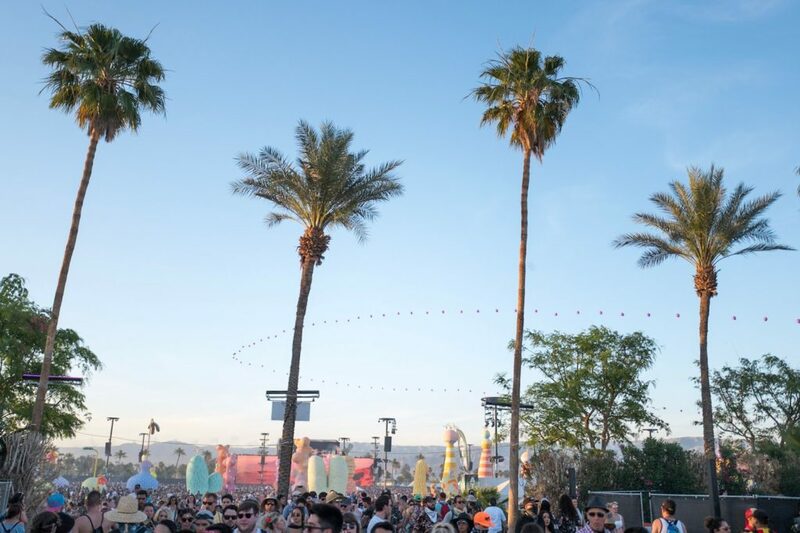 Although Coachella is over, there are plenty of other outdoor music festivals coming up like Lightning in a Bottle and Sasquatch in May, Outside Lands in August, and Austin City Limits in October. 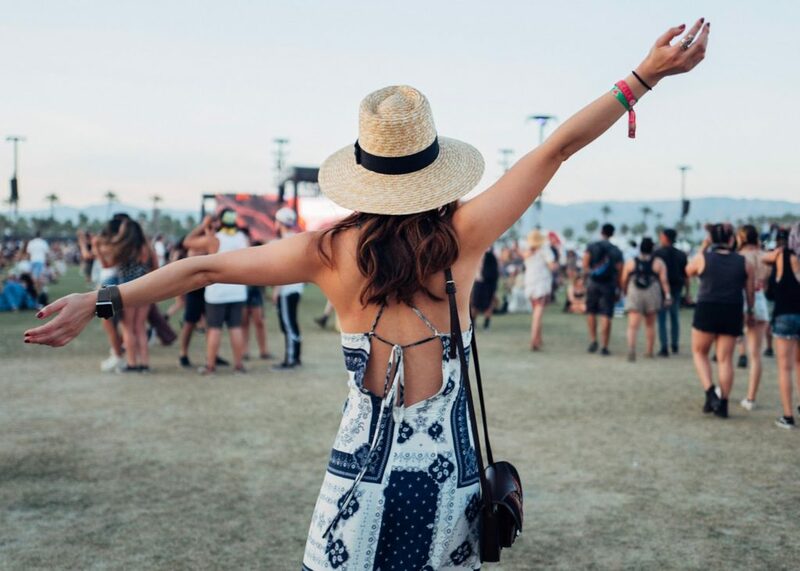 If you need festival fashion ideas I recommend finding something that fulfills those 3 criteria’s, and shopping at stores other people are less likely to shop at and that offer variety. 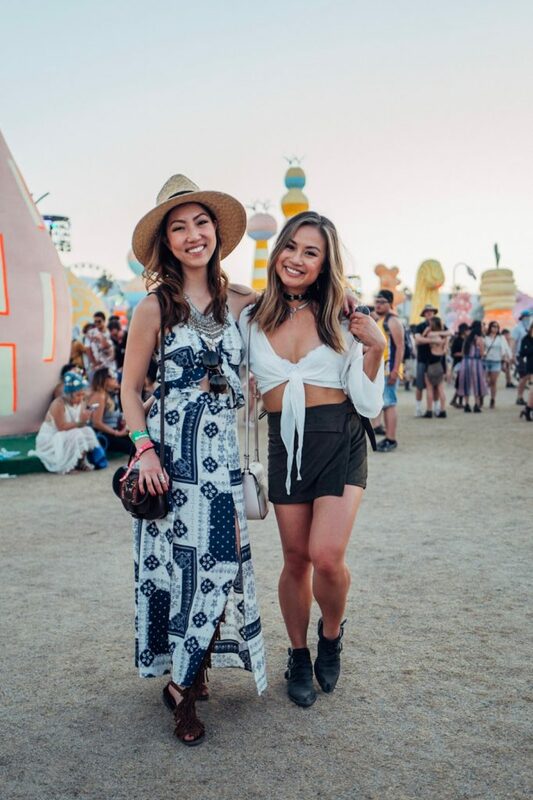 Asos, Revolve, PrettyLittleThing and Missguided are some of my favorites that offer a great spectrum of unique, fashionable and affordable clothes.